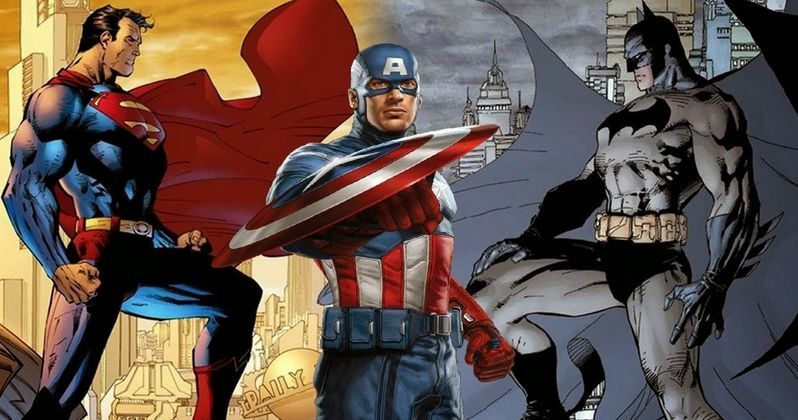 After an initial report from March, Marvel confirmed yesterday that Captain America 3 will open on May 6, 2016, the same date that Warner Bros. had set for their superhero sequel Batman Vs. Superman. Obviously, it wouldn't do either company any good to release two massive movies on the same day, but the question remains which studio will budge first? As of now, both are standing their ground firm, with Dan Fellman, Warner Bros. president of domestic distribution, revealing in an interview with Bloomberg that they have no plans to movie their release date, for now. "It doesn't make a lot of sense for two huge superhero films to open on the same date but there is a lot of time between now and 5/6/16. However at this time, we are not considering a change of date for Batman Vs. Superman." Although it hardly matters in a situation like this, Marvel technically laid claim to this release date first, announcing in June that they will release a then-untitled movie on May 6, 2016. Batman Vs. Superman was initially slated for a July 17, 2015 release, before Warner Bros. pushed their sequel into the summer 2016 date back in January. Also weighing in on the matter was Alan Gould, an analyst for Evercore Partners LLC in New York, who revealed this would be a lose-lose situation for the studios and the theaters if one project didn't switch their release date. "I don't think the studios or the theaters would be happy to see this. I would be surprised if they didn't end up changing these dates." Chris Aronson, 20th Century Fox's president of domestic distribution, also offered a statement about this scenario. "A lot of films are announced many years in advance now, and some of it is posturing." Marvel already revealed last month that they are keeping the May 6, 2016 release date, but something has to give between now and then. Which project do you think it will be? As of now, there are currently two open weekends in May 2016 (May 13 and May 20), but Fox also has their own superhero sequel, X-Men: Apocalypse, scheduled for May 27, 2016. Other summer 2016 dates that are unoccupied are June 3, June 24, July 22 and the entire month of August.